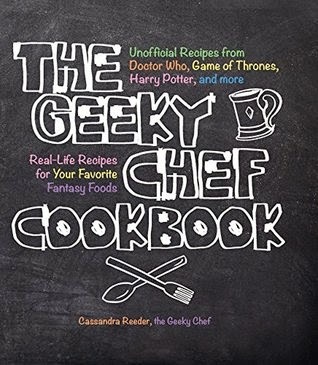 So I think I've done some of the more well-known fantasy foods, all of which have been sweet, so now it's time to change it up a bit and do a more obscure and savory dish. This one appeared in the newest Zelda game, Twilight Princess, in the Snowpeak temple as a soup that Yeto makes for his sick wife, Yeta. The soup, thanks to it's reekfish base, has healing properties that increase as Link finds more ingredients to add throughout the temple, namely a pumpkin and goat cheese from Link's hometown, Ordon. I took a basic pumpkin soup and made some modifications. I decided to make the fish stock and the filet optional because while I think pumpkin and goat cheese are a match made in heaven (or Hyrule), fish and pumpkin and goat cheese might seem like a strange mix for some. Fish or no fish, this soup makes for a perfect winter dinner! Toss pumpkins, onions, and garlic with a bit of olive oil. Roast until everything is soft and has nice browned edges. Place the roasted items in a soup pot and turn to medium heat. Add 3/4 of the stock and simmer for up to 45 minutes, or until fully cooked. Put in a food processor and blend until smooth. Blend in small amounts of the goat cheese along with the cream if desired. Adjust thickness with the leftover stock. Add more cream if desired and finish seasoning with basil, salt, and pepper. If you add a filet of fish, pan-fry it separately with oil, salt and pepper, then add it to the soup. I've always enjoyed soups. In my life, I've tasted a colorful variety of soups, from lobster bisque to a hearty beef and barley stew. Never in my life have I had a soup quite as good as this, I can't stress how necessary every ingredient is to making an amazing soup. I would also recommend getting a cup of heavy cream and giving it a quick whisk, it adds a thickness to the soup that really allows the taste to linger. Without the cream and without the cheese, this soup is missing its very essence. With, however, you get a soup that has earned its place amongst my "Top 3" favorite soups of all time. "¾ c. ounces white onion, chopped"
We would like to know what "c. ounces" means, as we cannot find a good explanation for it anywhere. Thanks in advance! I believe it means "Cubic Centimeters," or a three-dimensional (height+width+length) measurement. But I have a question: the Reekfish looks a lot like salmon and salmon is pretty darn nutritious. Could I use that fish instead? I did and it came out pretty good. it wasn't c. ounces, it was just "c." which is just an abbreviation for cups. so 3/4 of a cup of white onions, chopped. This soup is no joke - very delicious. Perfect for filling up your hearts on a cold winter day. In my opinion, 1/2 C is a bit heavy on the goat cheese. I used Turbot in lieu of Halibut and added mushrooms. Great served with toasted pumpernickel bread. Now the only thing left is Elixer Soup from the Wind Waker also I have tried this and its good. I agree, too much Goat Cheese for my liking. I would add another creamy white cheese just to keep the tanginess down. I would also use a yellow onion instead of a white onion as they are sweeter and complement the Pumpkin more. I would suggest adding a pinch of nutmeg to the soup as well. If one were to use Salmon which I believe would complement this very well if done properly. I would say to use smoked salmon fillets as you will not need a whole lot, the smoke flavor will add warmth, and you will not end up with a very "fishy" flavor. Add it near the end because smoked fish is already cooked. Though white fish is a good option to ensure that you can taste everything and the fish's flavor does not overwhelm. I would suggest pickerel over halibut as it is very delicate in texture and flavor insuring that it will absorb the flavor of the soup instead of over powering it. However, soup is very personal and everyone likes it differently. I personally would add carrots and celery to the base along with potatoes and squash. All cubed very small to ensure it's still a soup but hearty like a stew "stoup" lol. That's how I imagined this while looking at it in the pot, it had to have body. This soup, at first, I thought was a strange recipe, and since I'm a big fan of Zelda I wanted to try it out, so I did and I have to say it turned out great! How long/hot do you roast the ingredients first? Anon above, it really varies. Until they are soft and have picked up a nice browning. It can take anywhere between 30 and 75 minutes, depending on how big your pumpkin is. I've talked to my grandmother about trying this recipe, and she says that Feta cheese is a type of goat cheese, so I was wondering if I could use Feta for the goat cheese portion of this recipe? I'm also a bit confused as to some of the measurements in this recipe. For example, where it says "4 1/2 c. fish stock" does that mean 4 1/2 cups, or is it some other measurement? I'm pretty sure it is cups, but I just want be certain. Also, thanks for posting this recipe, as I've always loved soups, and this soup has always intrigued me since I first encountered it in Twilight Princess. So thank you. I can't wait to try it! It sounds delicious, especially from the comments, but before I try making it, I need to know: about how many does this serve with the soup being served in portions appropriate for a main dish? Stoked to try this recipe out for myself! However, if no fresh pumpkins are available, would canned pumpkin a suitable replacement? And perhaps adding diced butternut squash to keep the texture? I don't know how the soup tastes with feta cheese, but 4 1/2 c. is 4 1/2 cups. I have tried the soup with canned pumpkin, and it still comes out delicious. That's a good idea with the squash, though. How much canned pumpkin did you use? I'm trying to figure out how much 2 lbs would be after cooked an such. Thanks!! I've done a recipe similar to this (I was just seeing if anyone else had) a couple times now and it's always turned out great. However, we thought that the Ordonian pumpkin didn't look like a typical pumpkin and it looks more like a turban squash, so we use that. 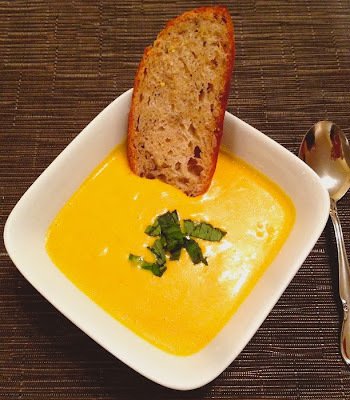 This was difficult because pumpkin is my favorite food, but we wanted to be true to the vision we had of replicating the soup the best we could. We also think curry would be likely to be found in the LOZ realm so we use that and it greatly complements the squash! Regardless, we'll definitely try it your way some time. 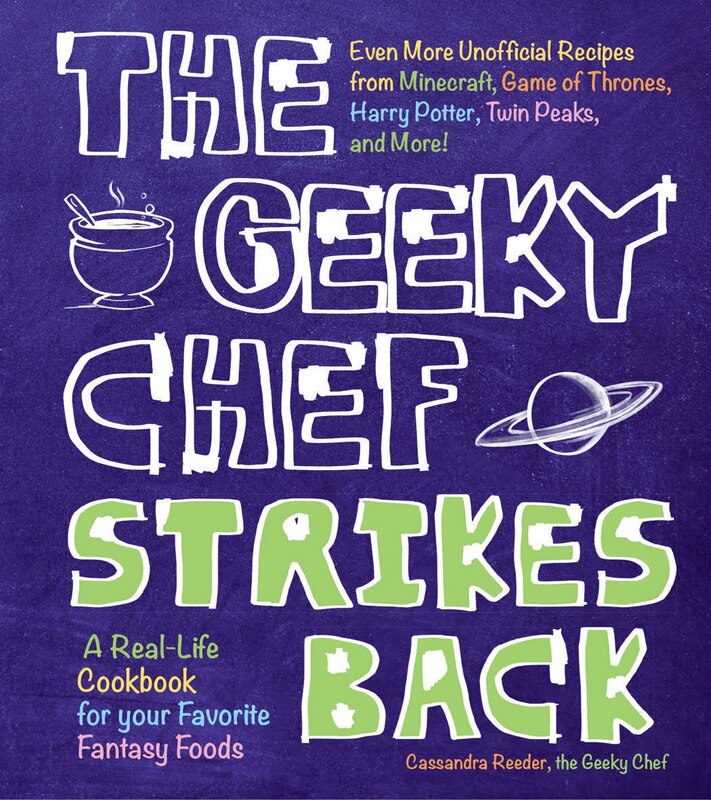 Thanks for being nerdy/geeky like us! How long do you roast the pumpkin and at how many degrees? I just made this for the first time and it turned out great! Thank you so much for posting! Twilight Princess might be my favorite game ever. I couldn't find any baking pumpkins, so I had to use the canned stuff, so that diminished the pumpkin taste. Maybe I should have gone with fresh butternut squash. And I used salmon for the reekfish and it tasted wonderful! My pot of soup is simmering as we speak. I couldn't find any fish stock anywhere, so I used a tip I'd read elsewhere about mixing vegetable stock and clam juice. My go-to homemade vegetable stock recipe uses 3 stalks of celery, 2 small onions, 2 medium carrots, and a potato, all roasted until fragrant and then boiled for an hour or two with six cups of water, 10 black peppercorns, 2 sprigs of thyme, a clove of garlic, and a handful of parsley. I ended up using three cups of the veggie stock and one eight-ounce bottle of clam juice, with no additional salt due to the sodium in the clam juice. Instead of fresh pumpkin I used 2/3 fresh butternut squash and 1/3 canned pumpkin, roasted together with the chopped onion and garlic. I seared a salmon fillet for four minutes on each side and added it into the pot, along with the oil it was cooked in. When it comes time to puree I'll remove the salmon and shred it separately. The only thing I'm not really sure of is how much fresh basil to use. I'm starting with a cup of leaves and going no more than three. I just made this today with fresh pumpkin. It's delicious. I used a lot less goat cheese (it's very strong) and I pan fried a salmon fillet and put it in at the last minute, whilst it was still pink in the middle. It's an interesting mix of flavours but I'm definitely enjoying it. I will probably do this again. By the way, Snowpeak ruins has so far been my favourite temple in Twilight Princess. I wonder if I'll ever get the chance to try this soup, or if I would like it? Just wondering how this soup tastes? I see all the good reviews, but I've never tried goat cheese before. Also, can you make it without onions? I DO NOT like onions. This is another example of pumpkin going very well with fish! So for anyone who is still not convinced of the pumpkin-fish pairing, read Anna the Red's Herring Pumpkin Pot Pie experience. This soup is (http://i.imgur.com/eXf9RcO.jpg) absolutely delicious. Made it last fall, definitely making again this year. I am always up for trying of good pumpkin and goat cheese soup recipes and this one certainly would be on my to-do list! what's the yield for this dish? Hey, does anybody know if this soup is freezable? I'm planning on making some soon and I wanted to save some for my brother (who's currently living away from home at college and is as much of a nerd as I am), but I heard that pumpkin can get kinda runny if one tries to freeze it and it'll be another week before he's home. So I was hoping to see if I could freeze it for when he gets back. This soup always gets me when I'm playing the game. Thank you for taking the time to make this recipe, I'm making it for me and my girlfriend this week! Question: how many people does this recipe serve? I'm thinking of making it and need to know whether I need to double it. This soup is perfection. Probably the tastiest thing I have EVER cooked, and I cook a lot. I used a smoked salmon filet, and it was a delicious addition. For anyone wondering, I doubled the recipe. It ended up being roughly 10 servings, which turned to 5 because we all had seconds. :) So to answer some questions, this recipe is probably around 5 servings if you don't double it, fewer if you have extra servings (which you probably will). Thanks for putting this recipe together, it's fantastic! The second time I made it I subbed beef broth and added a a small amount of smoked sausage instead of the fish fillet. Thanks!!! So. I don't really expect anyone to answer this because it seems like people don't usually get replies. But please. If you see this PLEASE HELP! I'm not the most skilled cook and I am trying to make this for thanksgiving. What kind of pumpkin do I need? I've never cooked with a pumpkin before and I'm absolutely clueless. Well last year I made this with a regular pumpkin from the grocery store that was on display XD like it was LITERALLY the last pumpkin around (I made the soup it later in the season than I would have liked lol) but it turned out great with that. Theres also these small pumpkins at grocery stores about now with the big carving ones that are called Cooking Pumpkins or something, and they are basically for pumpkin pies and stuff from scratch. I actually didn't know there was a difference but apparently there is ..???.. if its labeled so maybeee lol but anyways, I bought 2 and Im gona try the soup with those this year (actually tomorrow lol) Moral of the story I'm pretty sure you can use any whole pumpkin lol but I can let you know if the "Cooking Pumpkins" are better in any way or not. In case this is too late I hope whatever you used worked out for you! I used canned pumpkin from Walmart! I just can't get over how good this is! Everything in this recipe seems like things that normally wouldn't go together but omg every ingredient fits fantastically together in the end. I took the advice of a comment above that recommended salmon with the soup and it enhances the taste so much. The pumpkin makes it kind of sweet but not like from a dessert, the goat cheese makes it creamy and savory, and the salmon just makes everything explode with delish. Definitely making this again!